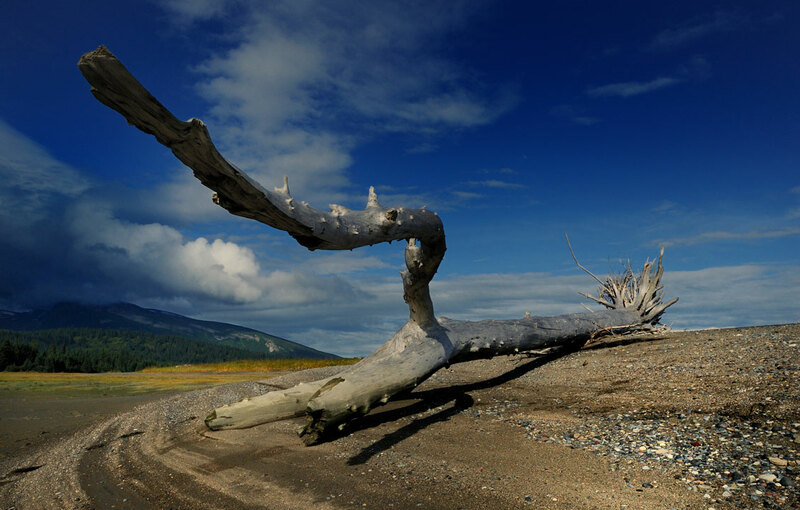 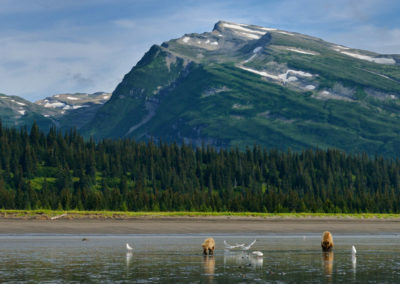 As one of the most beautiful places on earth Alaska offers fantastic Brown Bear, bird and landscape photography. 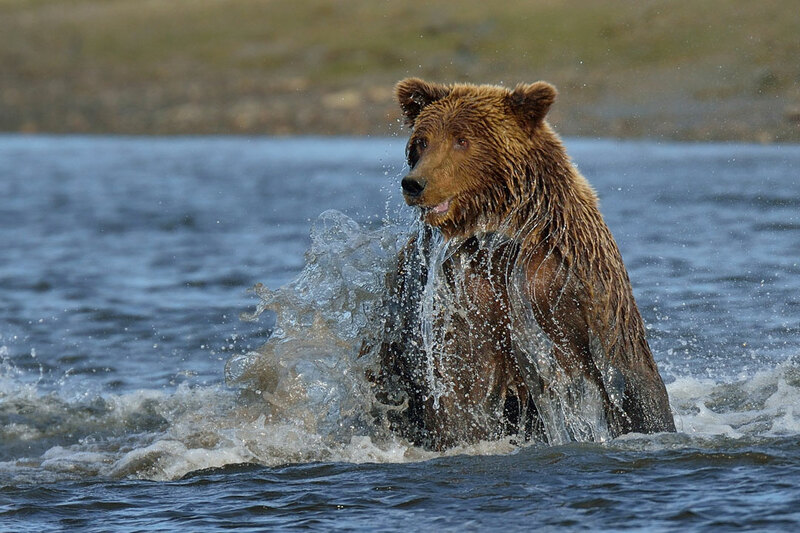 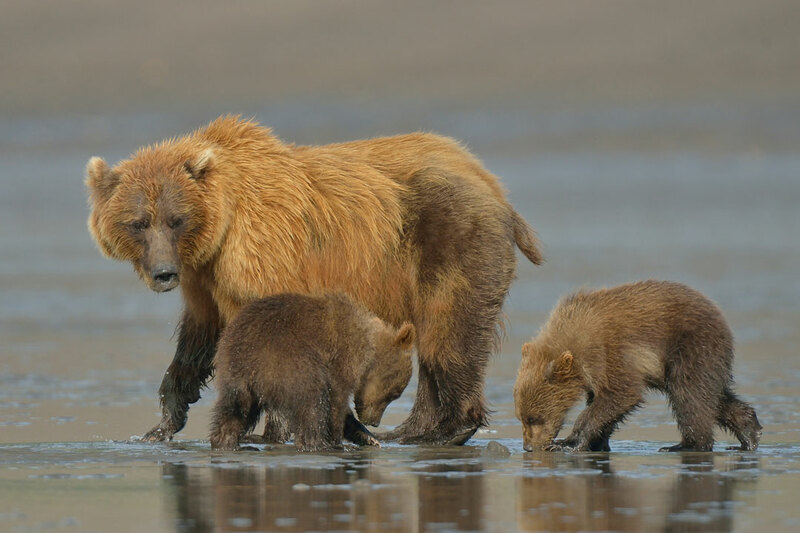 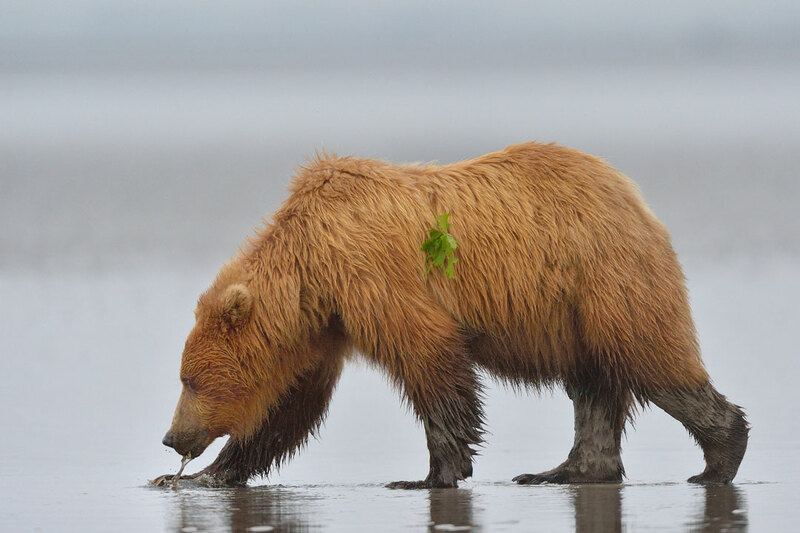 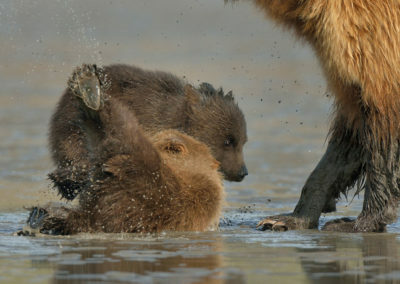 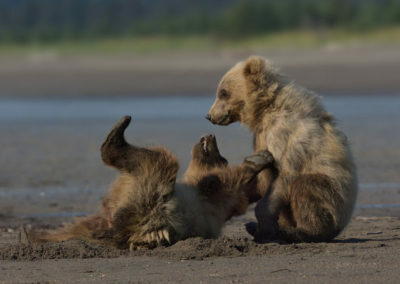 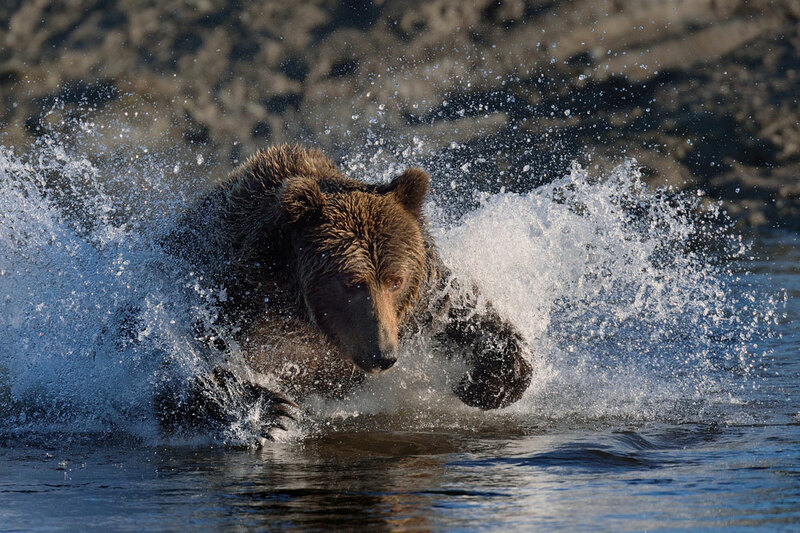 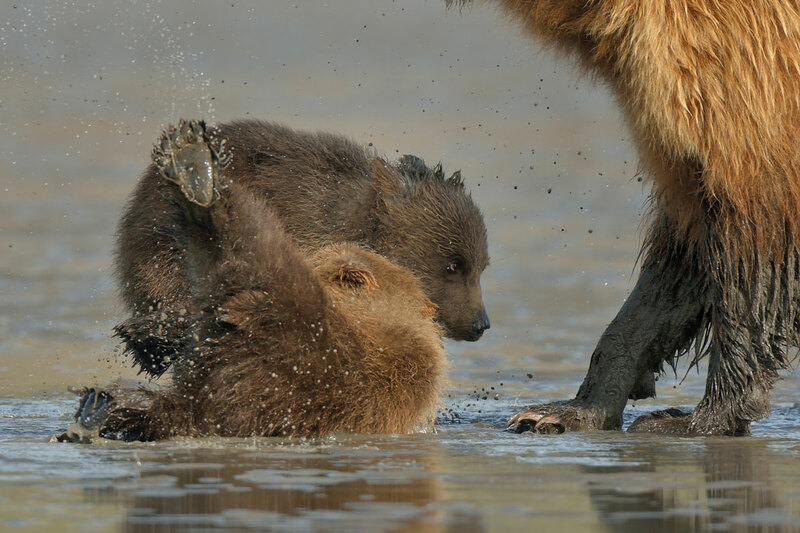 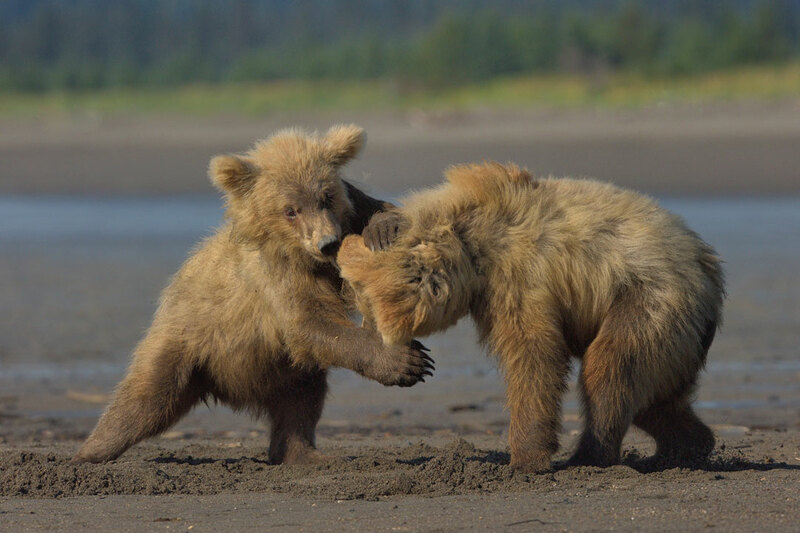 Our Alaska Photographic Safaris give you the opportunity to get up close and personal with brown bears and photograph their behavior and is an absolute must for any serious wildlife photographer. 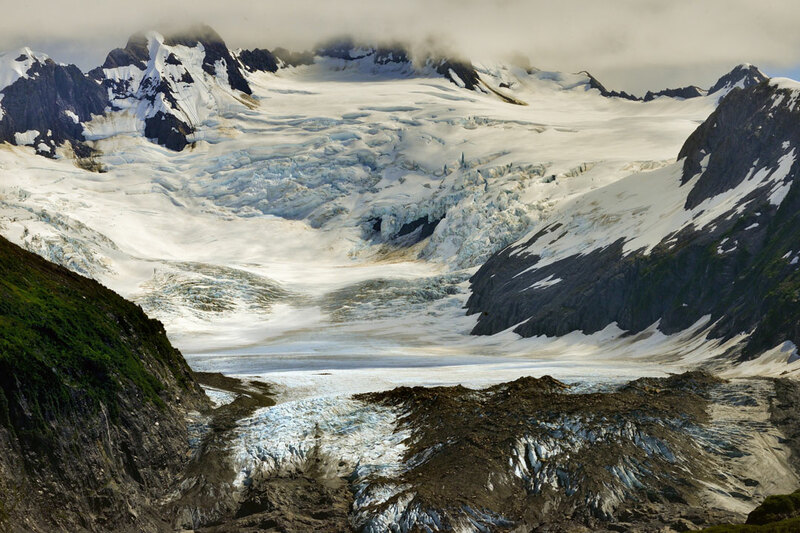 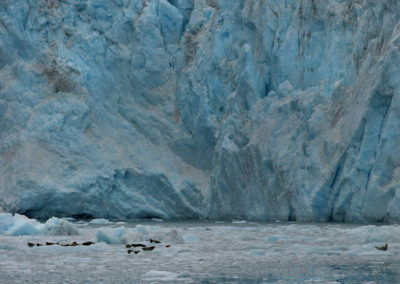 Prince William Sound is a wonderland of massive glaciers, dense spruce forests and abundant wildlife. 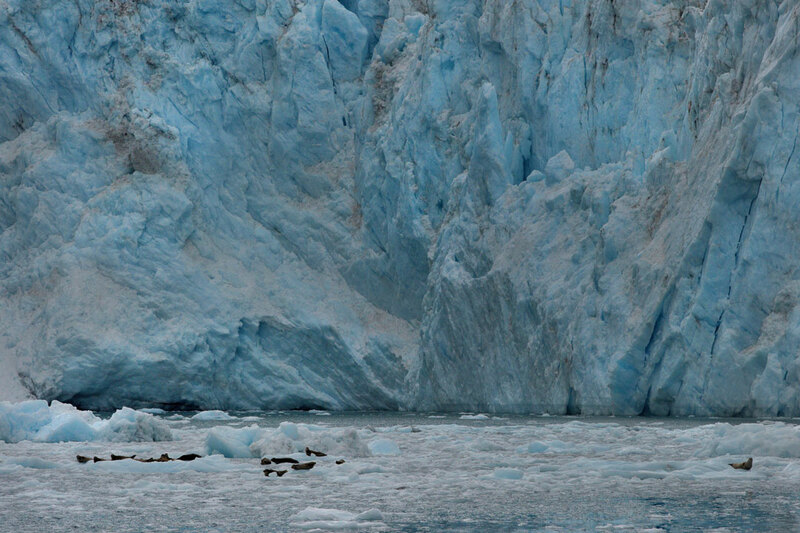 Embark on a journey that retraces the path of early explorers Vitus Bering, Georg Wilhelm Steller, Captain James Cook and Captain George Vancouver. These great explorers discovered Alaska in 1741, navigated these waters in search of the Northwest Passage, identified new species of animals; Steller Sea Lion, Steller Jay, Steller Eider and Steller Sea Eagle, and traded with the indigenous people. 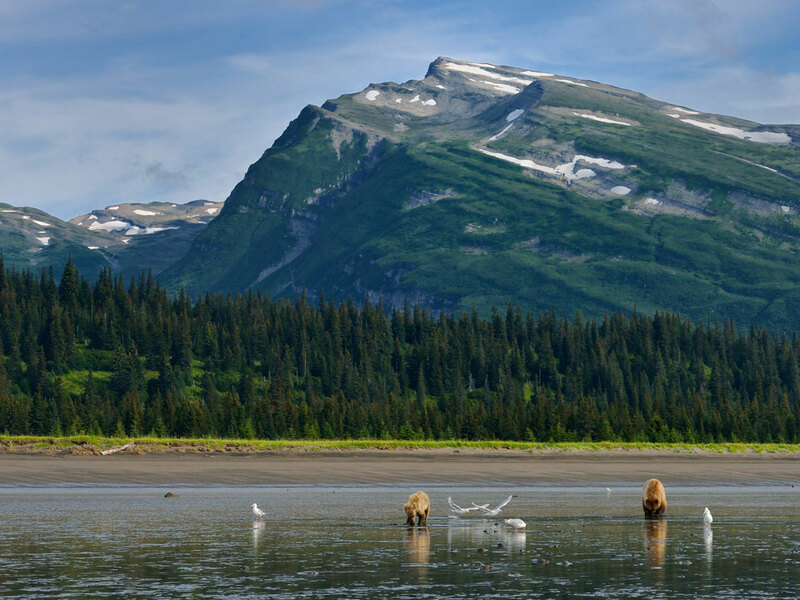 Professional narration is provided by U.S. Forest Service Rangers on every cruise with stories about these early explorers and their adventures along our cruise routes. 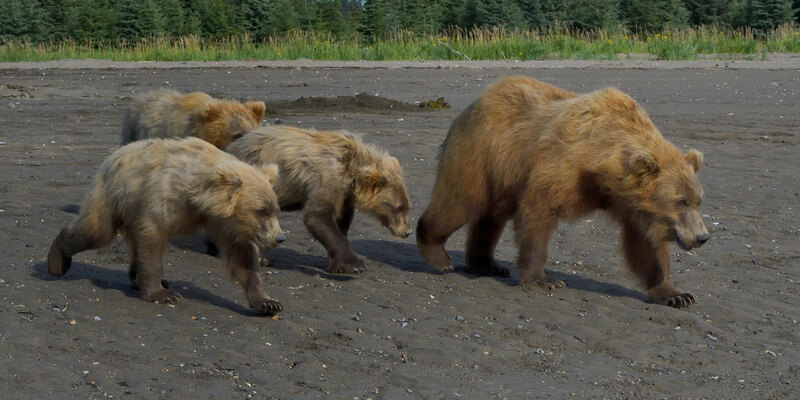 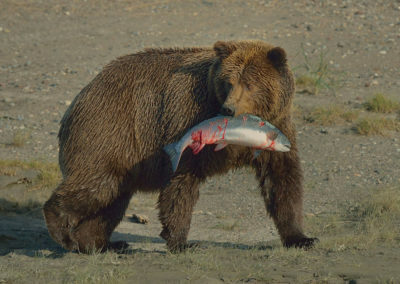 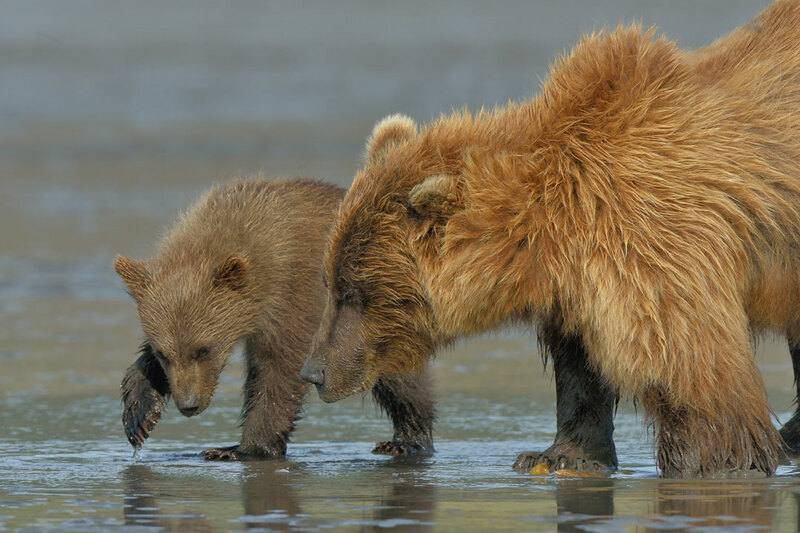 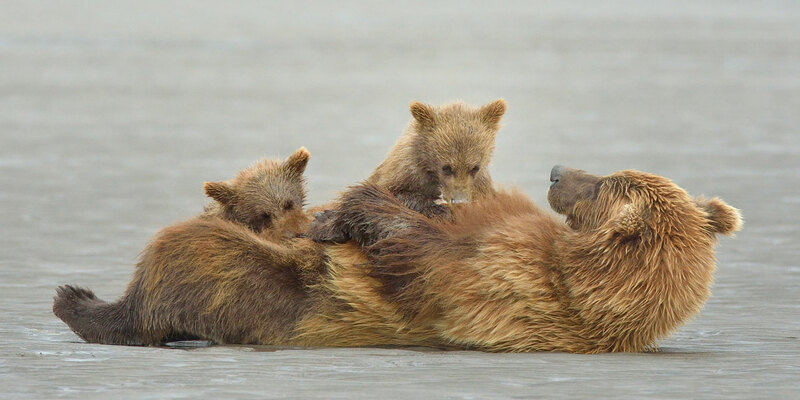 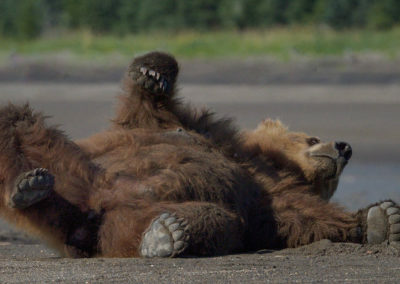 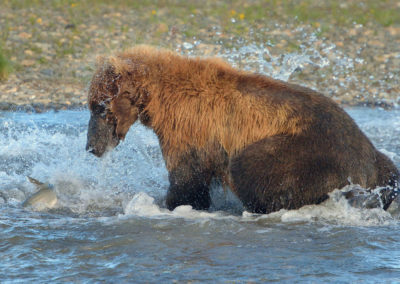 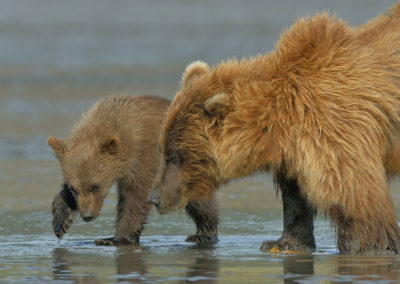 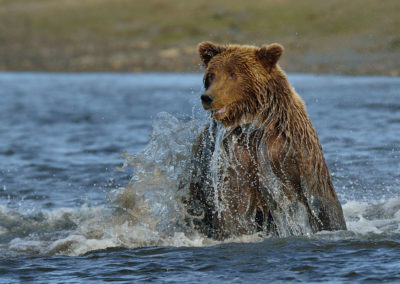 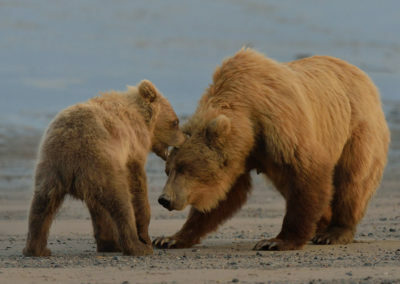 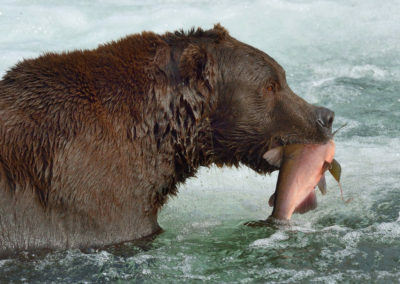 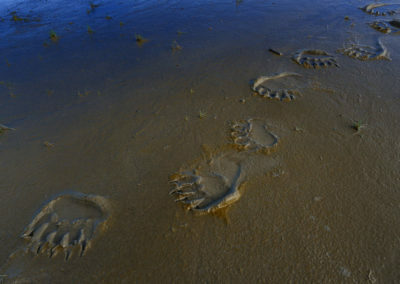 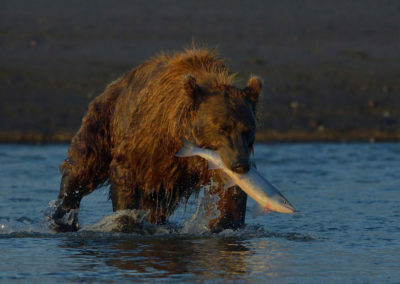 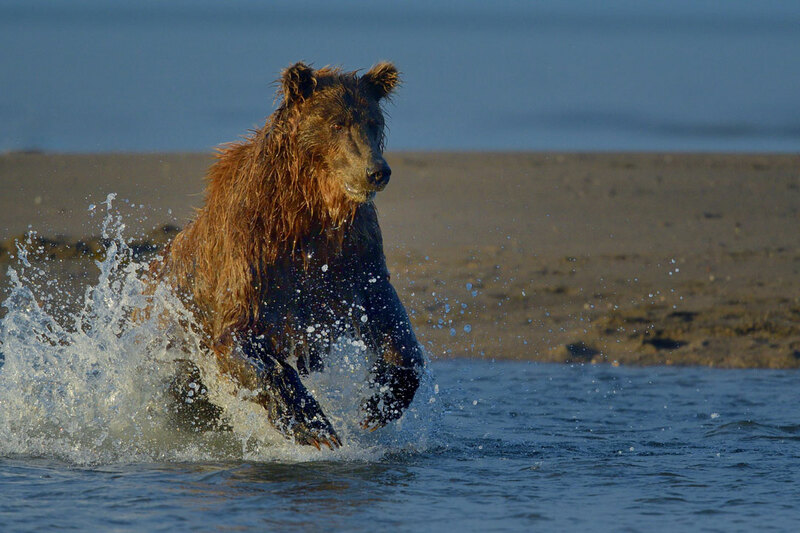 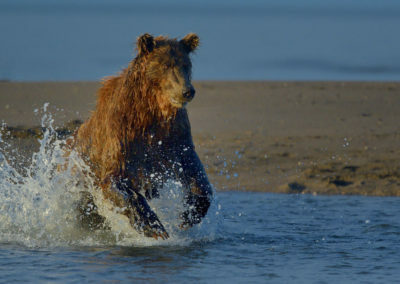 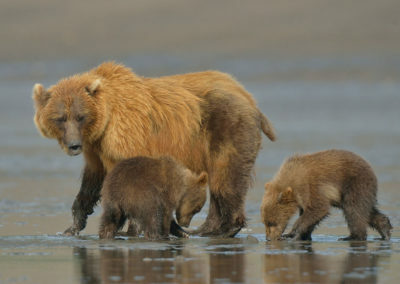 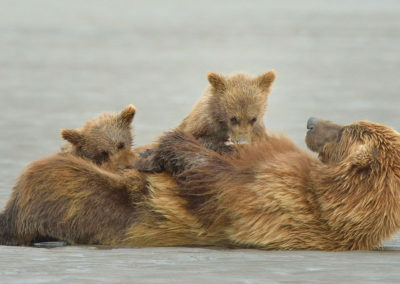 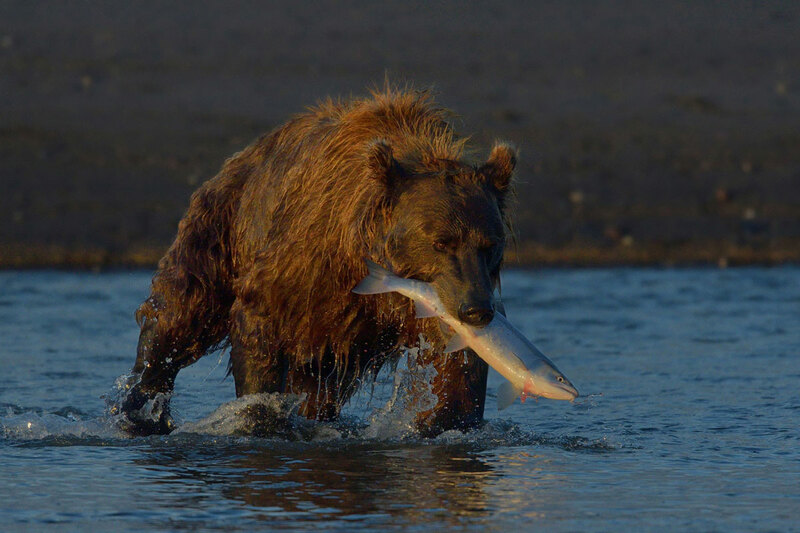 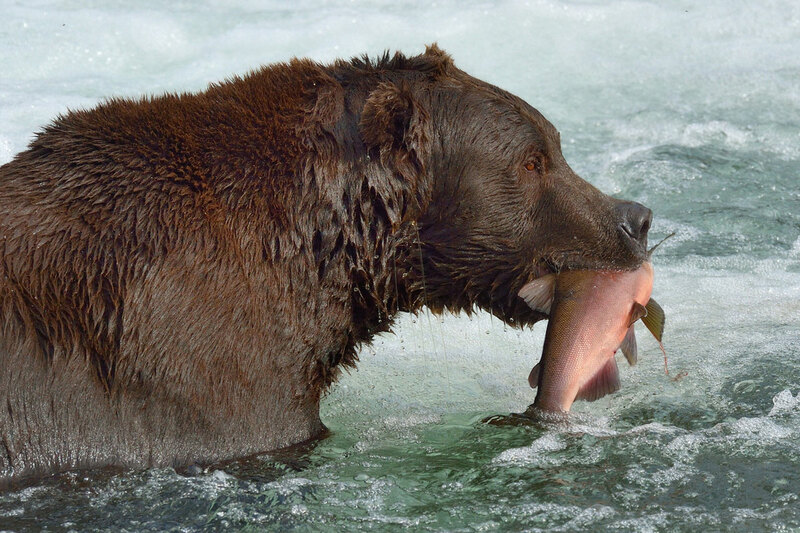 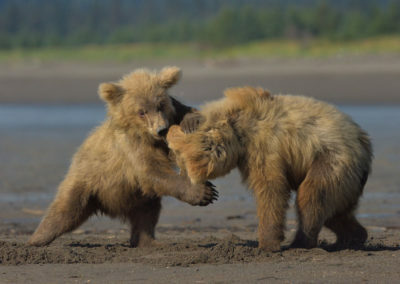 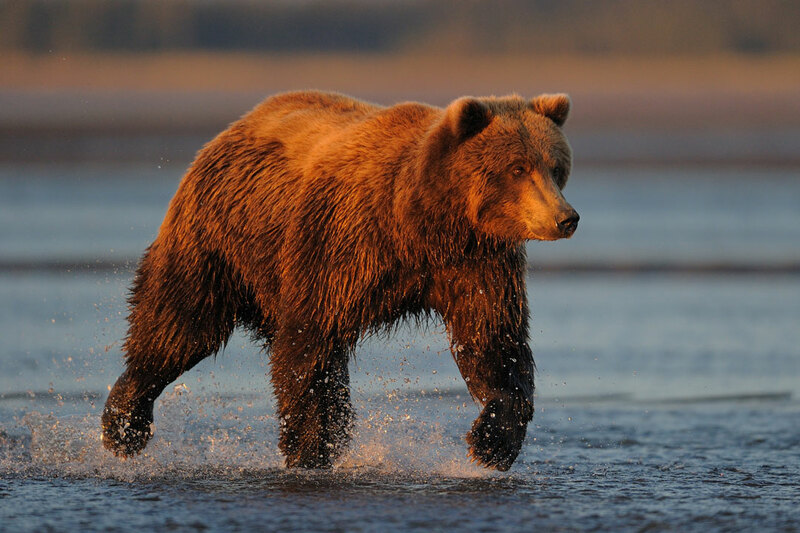 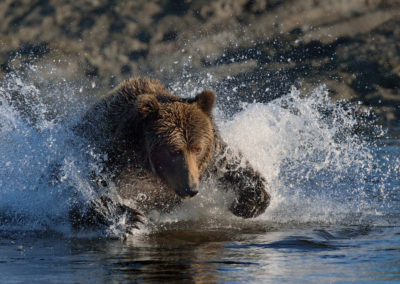 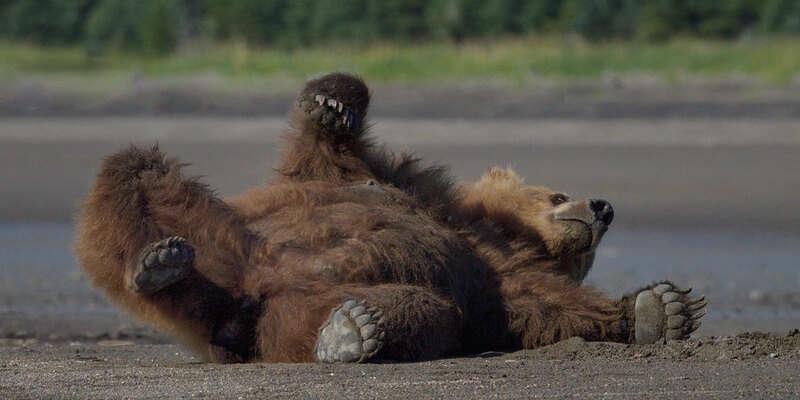 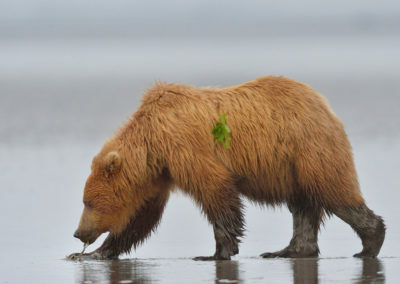 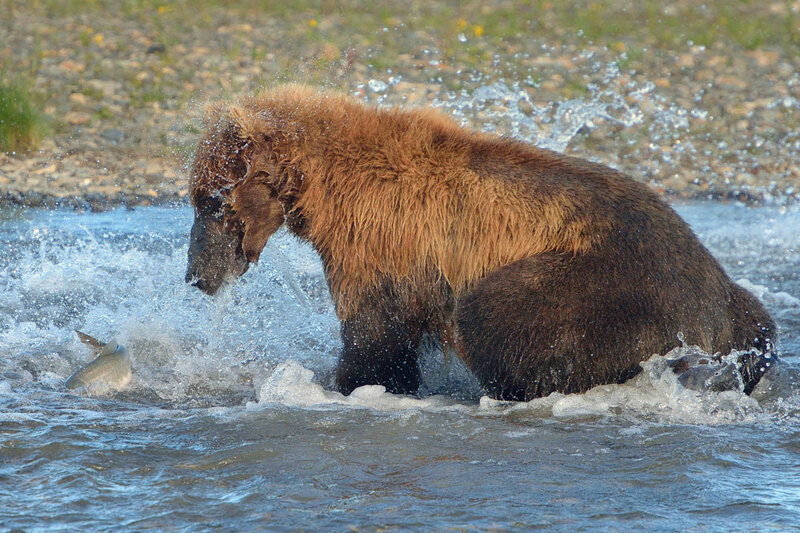 Lake Clark boasts an array of wildlife, most prominently brown bears. 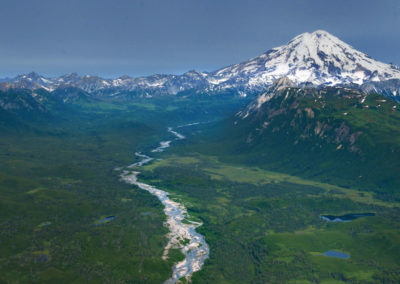 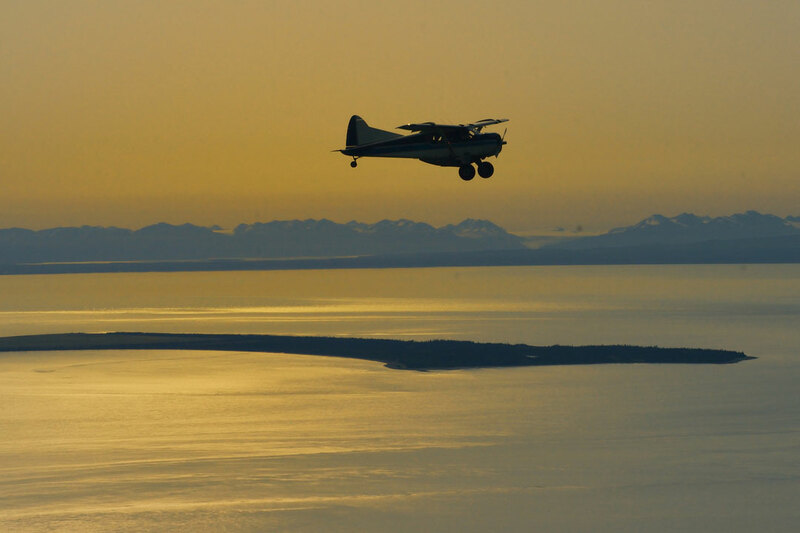 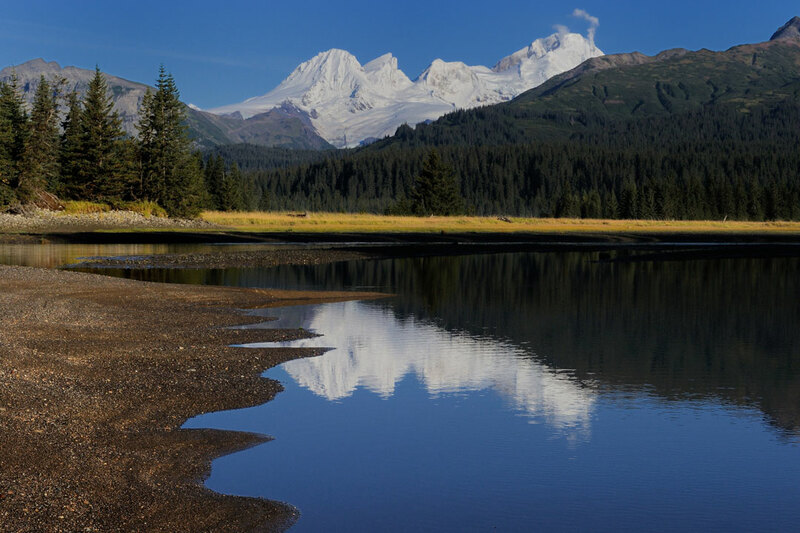 It includes the shores of the Cook Inlet, which is prime bear territory, the glaciated heights of the Chigmit Mountains and the Aleutian range, the twin volcanoes, Mount Iliamna and Mount Redoubt. 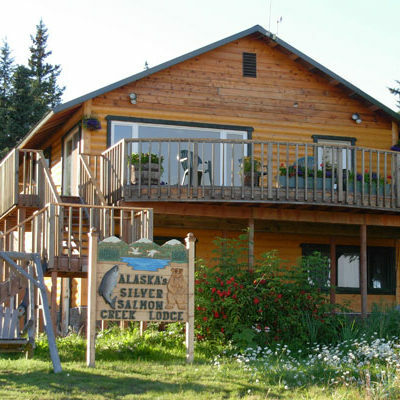 Once at our location in Lake Clarke we will be based at the exclusive Silver Salmon Creek Lodge. 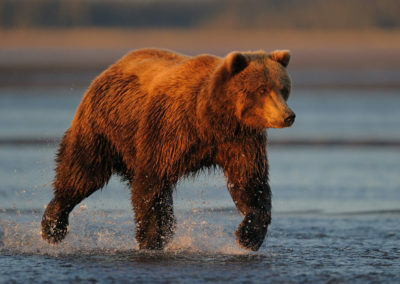 The bears can quite often be spotted from the deck of the lodge. 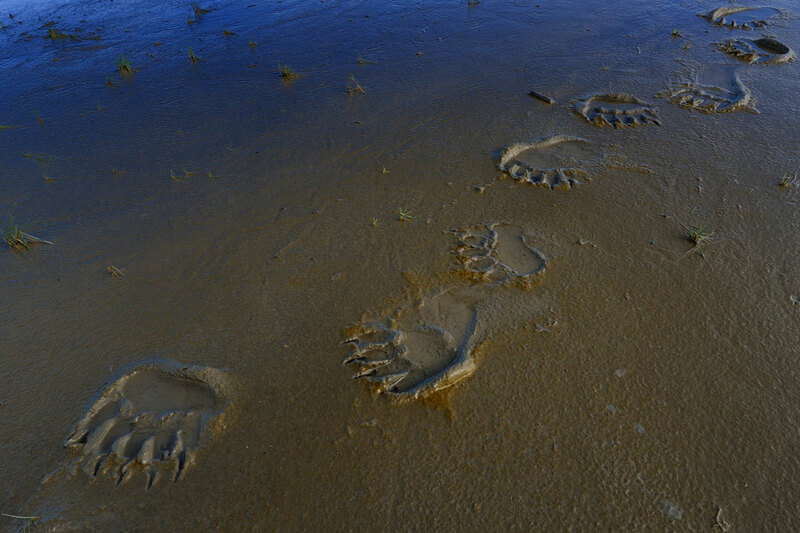 We will be traveling on ATV’s with carts to our pristine shooting location and from there we will follow the bears by foot. 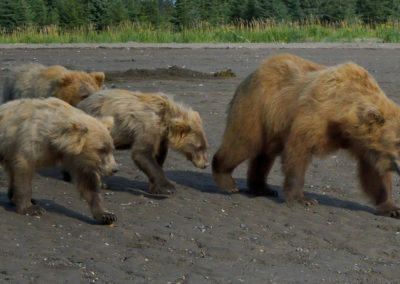 We will be in the presence of experienced guides, who will make locating the bears both easy and enjoyable. 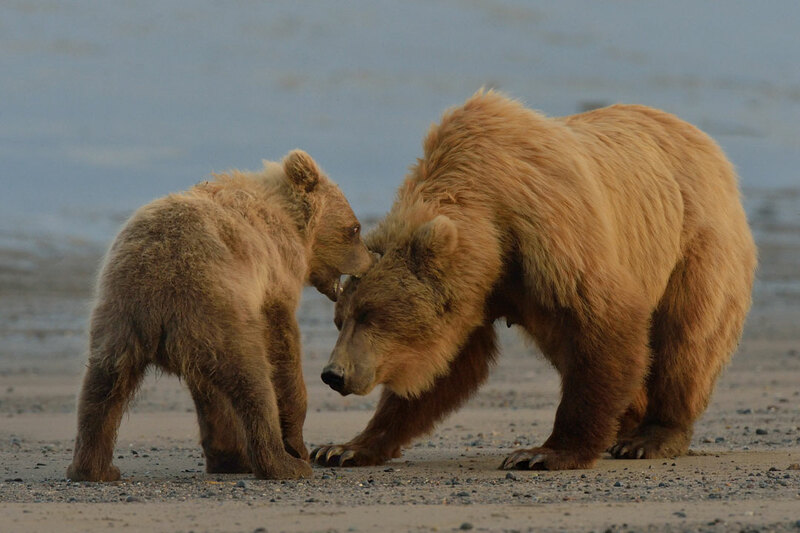 We will be able to see and photograph mother bears with their cubs feeding, foraging and playing about in the tundra surroundings. 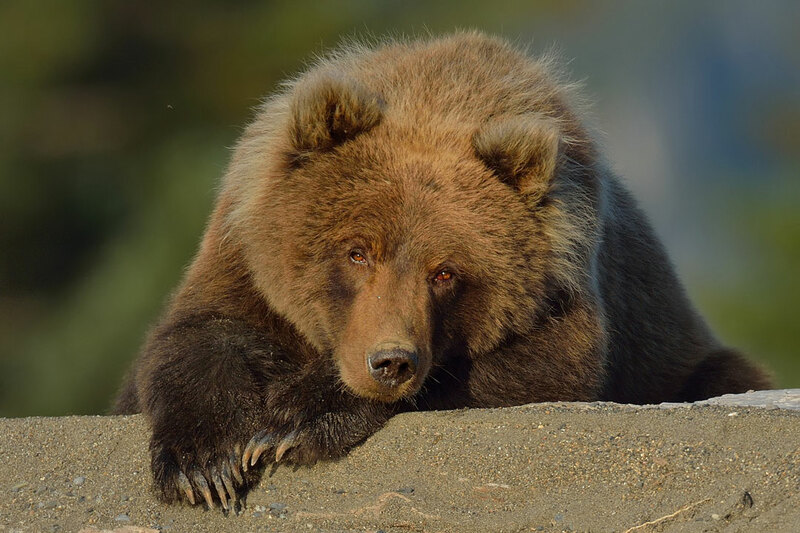 Just imagine standing in close range of a 500 kg+ male brown bear at eye level and taking images, an experience you will not soon forget and, we can do it all day, everyday with no concerns about safety or crowds of people. 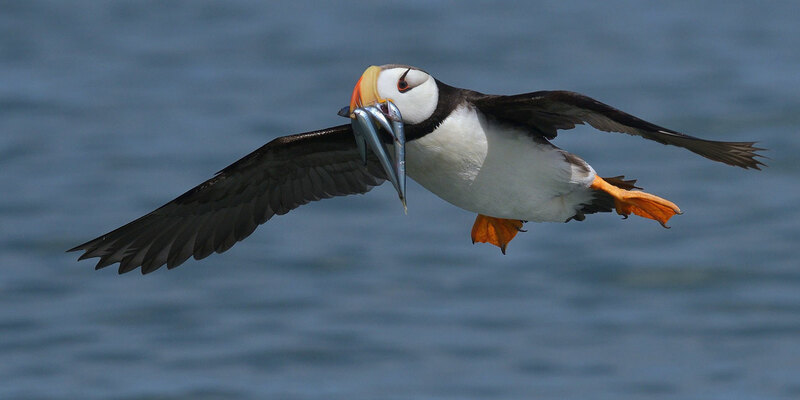 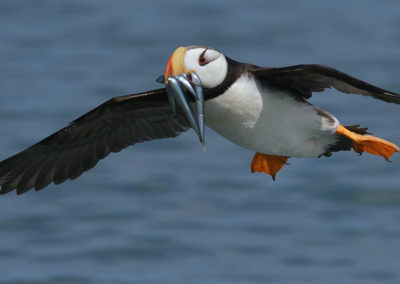 We will take a side trip to “Bird Island” where we will see and photograph Horned Puffins and other seabirds. 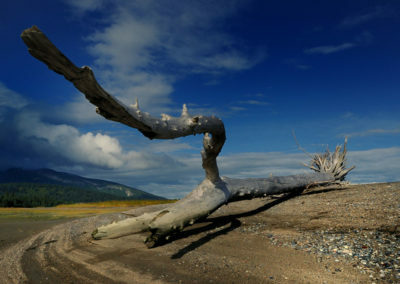 It is hard to predict the weather at this time of the year. In Lake Clark the temperatures will be between 7˚C and 20˚C and about 19 hours of daylight. 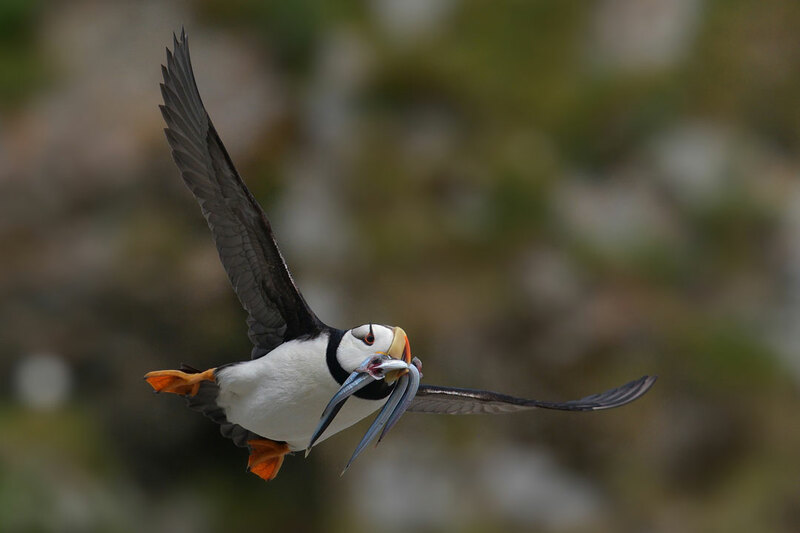 We recommend the following outerwear: long-sleeved shirt, jeans/slacks, warm hat & gloves, insulated boots, long underwear, Windbreaker or similar jacket, wool sweater or Fibrefill vest, winter coat and rain gear. 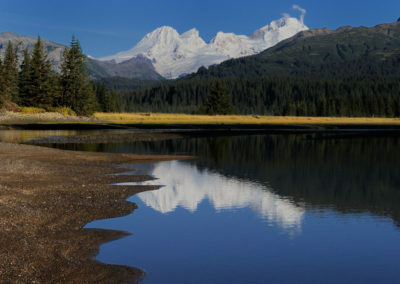 Waterproof, knee-high boots will be supplied at the lodges where we will be staying.